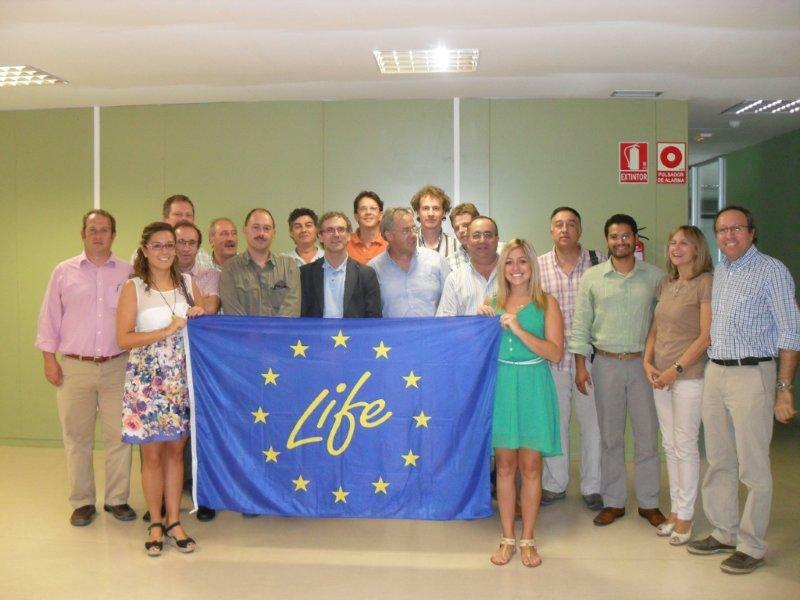 Here you can read the official project form of the project "Operation CO2" (LIFE11 ENV/ES/535) on the Europa.eu website. What is the LIFE+ Operation CO2 project about? ​​both with new methods that are technically and economically viable. The project will be carried out in three different regions of Spain and with a multinational team of 9 partners from three Member States (Spain, Netherlands, United Kingdom) of the EU. The common denominator of both pillars explained below is to obtain carbon credits. The first pillar of this project will promote conservation through active forest management and carbon sequestration in natural forests obtaining certification of carbon credits and consequently release to the voluntary market carbon offsets. Our project partner 'Fundació Catalunya - La Pedrera' participates with 4,500 ha. of managed forest in Alinyà, Catalonia (Area A). The second pillar involves the transformation of degraded natural areas in integrated agroforestry ecosystems. In this project two partners will develop the methodology in approx. 25 ha. each of degraded lands in principle nonirrigated cropland agroforestry development, one in Castilla y Leon and one in Aragon (Area B and Area C, respectively). Applying special mycorrhizas, green cover, crop rotation and other techniques will be key to promoting sustainability. This project will demonstrate the economic viability of the conservation and management of forest and agroforestry systems in Europe and to extend the green economy as an alternative for future development.